Working during grad school can seem like an impossible task. While it would be nice to be able to solely focus on our studies, not working isn’t a viable option for many of us. Between work, classes, homework, studying, and other daily responsibilities, you’ll likely find your free time dwindling. If you’re interested in attending graduate school, but the thought of adding even more to your full plate seems daunting, there are options you can explore. It may seem impossible, but with some diligence, working full time and getting your graduate degree can potentially work out for you. Here are some key tips to help balance work and school without losing your sanity. First, you need to define exactly what you’re looking to gain from attending grad school. Is it a higher salary at your current job? The ability to enter an entirely new job market? Or is it a desire to continue your education? Listing out the potential gains can help ensure that you will benefit from grad school if you decide to enroll. Fully understanding what you expect to get out of your education can help you set clear goals and priorities—figure out what is important to you and how you can best use your time. While money isn’t everything, if you need some inspiration, know that a graduate degree could possibly increase your earning potential. If you were to attend grad school, what would your personal needs be? Would you need to invest in extra childcare so you could work, go to school, and have time to study? Would you be willing to give up free time with family and friends in exchange for keeping a job and going to school at the same time? It’s valuable to think about all the sacrifices—both personally and financially—you’d be making to go back to school. But remember: These sacrifices are short term. A graduate degree is forever. While you may have one school of your dreams, it may be smart to look into a variety of programs. Some schools may offer different degree programs, more focused curriculum, or better class times—like nights and weekends—that make it easier for working professionals to attend classes. It may also be a good idea to set up a meeting with the head of the program you’re interested in to learn more about the program, the workload, and the current student body. Ask how many other working professionals they have enrolled—that could be a good sign. The other option to explore is online learning. Major colleges and universities are bringing more of their degree programs online, making distance learning a real possibility. Even before you enroll, it’s important to look into your finances to see what you can afford. You can do this by looking at your current income stream and budget, then see if you have any wiggle room to add in tuition costs. This may also require cost-cutting in other places (like giving up a gym membership, streaming services, or entertainment costs). And it’s an excellent way to see just how much extra cash you would need if you decided to take out a loan instead of fronting the cost yourself. If you’re feeling strapped for cash after creating an education budget, it may be a good idea to take some time to save money before heading back to school. Add in a side hustle, cut costs, build up your savings, then enter your grad program financially prepared. Some companies offer partial or even full tuition reimbursement for those who qualify and attend a program that will enhance their skills. For example, salaried employees at The Home Depot can get up to $5,000 annually, and full-time, hourly employees can be reimbursed up to $3,000. However, even if your company doesn’t offer tuition reimbursement, you still may be able to find extra money for school. There’s a wide range of scholarships that may be available for qualified applicants. And hey, there’s even one for llama owners . 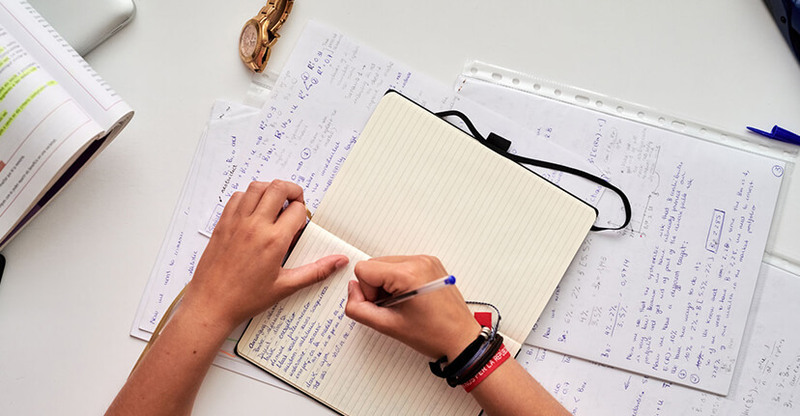 While it’s important to create a financial picture of what grad school will look like, it’s also important to do the same for your day-to-day life by creating a budget for your time, as it can become a precious commodity while in grad school. Start by writing down every single thing you do for a week. Then, look back on the calendar. Is there room to spare? If there isn’t, it may mean you need to make some changes to your commitments and hobbies to make room. You could try to make a mock calendar of your daily grad-school life. Look at classes online, block out those hours, then block off one to two hours per class each week for work or study time. Then, see if you can fit them into your daily life now or with some necessary tweaks. If you find that you have to take time off work to attend grad school, you may be considering a student loan. And, once you’re out of school, refinancing that student loan with SoFi may help make it easier to stay on top of your payments and potentially save money over the life of the loan if you qualify for a lower interest rate. You might even be able to secure a lower interest rate or maybe a shorter term, which could help you pay off that student debt faster, so you can concentrate on changing the world with your new degree. Learn more about student loan refinancing with SoFi! Notice: SoFi refinance loans are private loans and do not have the same repayment options that the federal loan program offers such as Income Based Repayment or Income Contingent Repayment or PAYE. SoFi always recommends that you consult a qualified financial advisor to discuss what is best for your unique situation.